Final work on my low-poly character for the moment, which I’ll be using to put together some animatic shots for the first two minute test scene. A more detailed model & texturing work will come later. 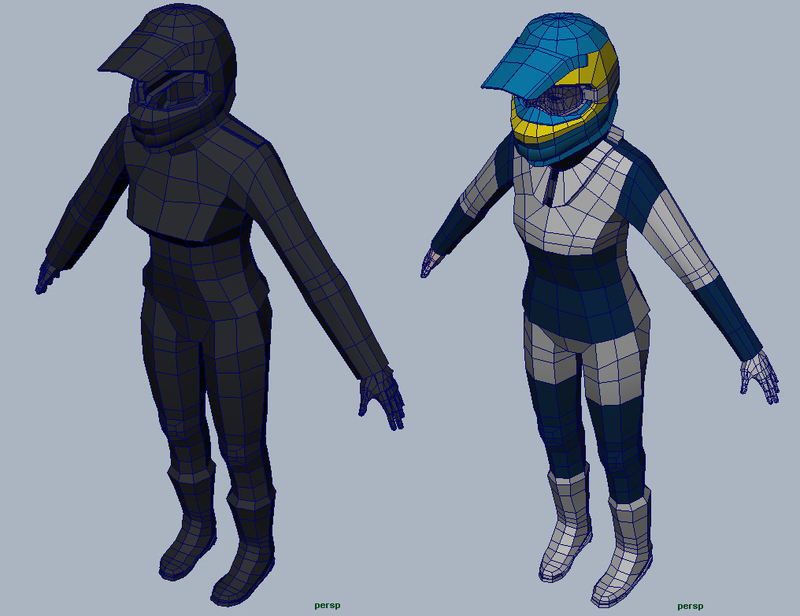 I`ll start by rigging the character by itself just to get the basics again, I may need some help with rigging the character and bike though….